Kanya joined Assegaf Hamzah & Partners in May 2003, having earlier served with a number of other topflight Jakarta law firms. She was made a partner in early 2014. Prior to commencing her career as a practicing lawyer, she worked with the Tifa Foundation, a non-governmental organization focused on promoting open government and good governance. She holds a bachelor of law degree, majoring in transnational law, from the University of Indonesia, and an LL.M in oil and gas law (2013) from the University of Aberdeen, Scotland. She is licensed to practice as an advocate’ by the Indonesian Bar Association (Peradi). 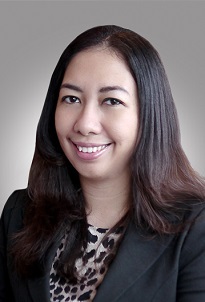 Her skills and experience were recognized internationally when she was named a leading lawyer in Islamic Finance and M&A by the International Financial Law Review (IFLR)’s Indonesia Annual Review. Kanya has gained a reputation as one of Jakarta’s most promising young lawyers in the energy and mining sectors, and has been intimately involved in several power-plant projects being developed as part of the Indonesian government’s power sector expansion program, while at the same time also playing leading roles in a number of renewable energy initiatives. In addition, she has amassed considerable experience in the rapidly developing Islamic finance field. In fact, she played a leading role in arranging Indonesia’s first sovereign global Islamic bond in 2009.